Good news… we’ve nailed down the 2013 subscriptions and they’re better than ever. What are they? You’ll have to wait until July 13 at our fan panel at SDCC to find out! For now, here’s what we can tell you: we have old favorites returning, and they’ll be joined by an all-new line. 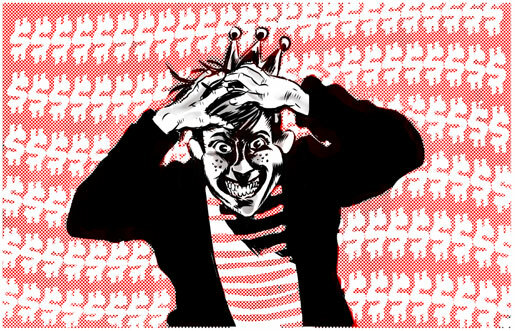 So be here on Friday, July 13 at 1 p.m. PT when we reveal which subscriptions will be available for 2013 — including one that’s never been offered before! You won’t want to miss this, so for an email reminder, click here to register. Or, hang out on Facebook, Twitter and in our Fan Forums and you’ll get reminders there, too. —A Back to the Future 6″ figure subscription. Mattel’s prop replica hoverboard got a surprising amount of press, and it came with the bizarre bonus of a small toy hoverboard designed for 6″-scale figures. Mattel has previously stated a BTTF subscription wasn’t economically feasible, but it’s possible the hoverboard’s hype convinced management to sink a little more money into the idea. —A line of DC figures made in the MOTUC style. This is admittedly a long shot, but I’ve often thought a line like this would make sense – they could use a lot of parts re-use and I think the style would appeal to both MOTUC and DC collectors alike. That said, with DC so focused on their New 52 stuff, I’m not sure this sort of concept fits with their current branding plans. 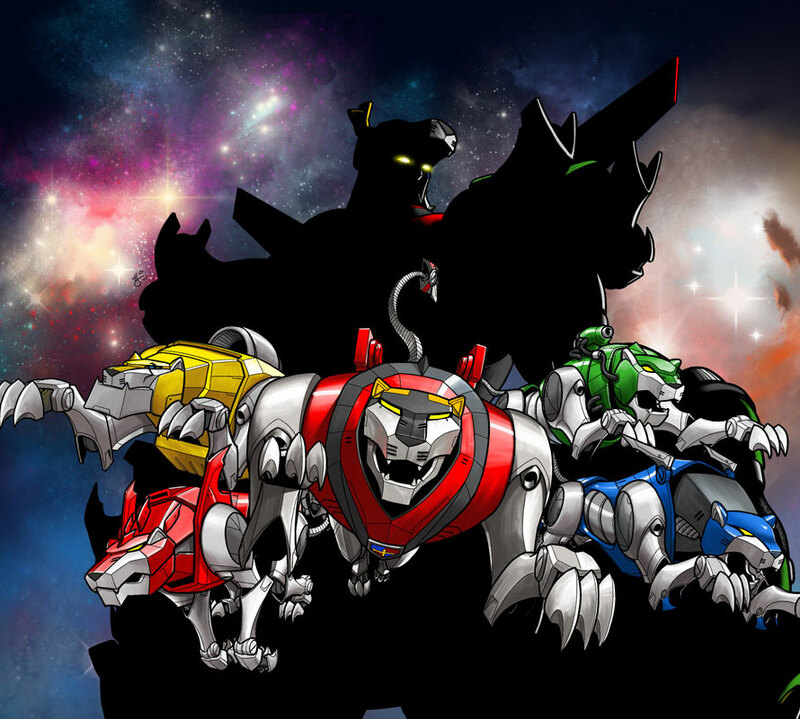 —Voltron Force. This would be classic Mattel. While a Voltron Force sub would technically be a “new” sub, obviously it would just be the heir to this year’s classic Voltron sub. Still, I believe the show did pretty well ratings-wise (making it a crime that Mattel was unable to get the toys out in time to capitalize on it), so this is definitely a possibility. Honorable But Highly Unlikely Mentions: Major Matt Mason, Bravestarr, Blackstar. MMM had some movie buzz a while back, while the latter two might be possible as part of Mattel’s new relationship with Classic Media. I’d be interested in hearing your thoughts on this, and any other suggestions as to what the new line could be. We’ll all find out the truth around 4pm ET on Friday. My vote and distinct hope would be for the Mini Masters. I would absolutely subscribe to that. Matty, take my money. I was also thinking that it might be BTTF. The others seem possible, but unlikely, with the exception of Voltron Force, of course. It would indeed be VERY Mattel-like to offer it. 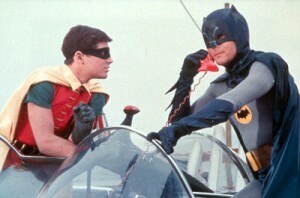 & one last thing; HOT TOYS '66 BATMAN STUFF!!! OMFG!!! HOORAY!!! 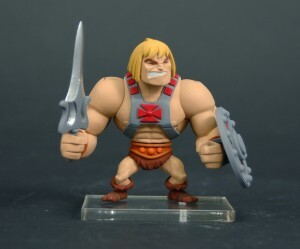 Mini-MOTU would rock. I’d love BTTF too. Realistically, I'm hoping for Real Ghostbusters, despite past dismissals of such figures in the GB line. I was always disappointed that they were reluctant to try 6" figures. There were so many variants of the four guys, they could get plenty of mileage out of the parts. The ghosts are the only part of the equation that's questionable. I still don't see them doing BTTF. So much new tooling, even if they shared parts across lines. 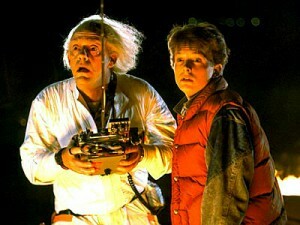 I love BTTF, way more than GBs, but I would be reluctant to collect beyond a standard Marty and Doc. GBs are Movie Masters that work as toys. I'm not sure what the toy value is in BTTF figures. The smart move is to partner up with Classic Media for a Filmation Classics line and get all of those one-offs like Bravestarr that people want. Good way to get some of those guys from lines in which they otherwise wouldn't be able to go very deep. Also think there is a lot of merit to a DC Movie Masters line. But it will probably be Mini Masters, which will be, IMO, a disaster. God, a Filmation Classics line would be jaw-dropping. Not only for the obvious Blackstar & Bravestarr figs, but for so many of their great properties. My guess is it is not masters related, i think it’ll either be bttf, or an out of left field hot wheels or barbie collectors subscription. 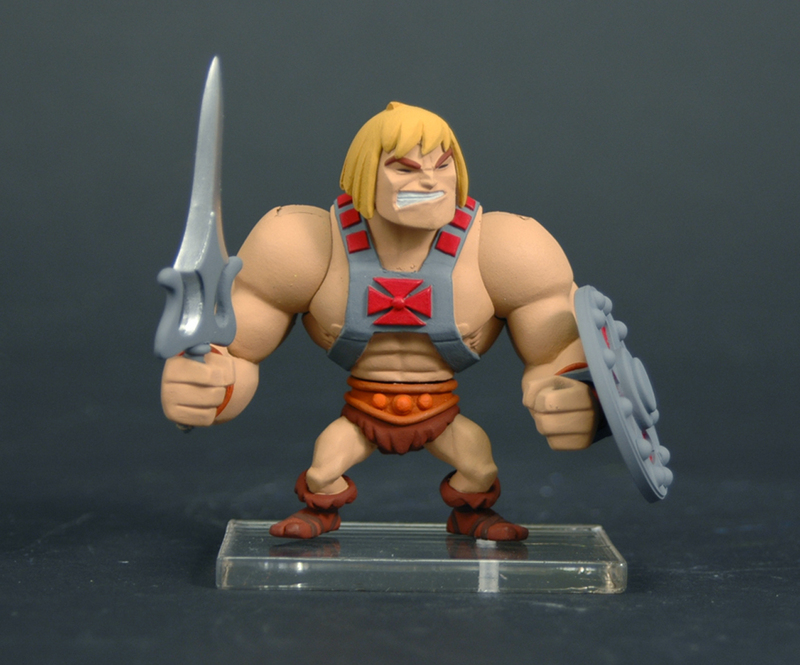 Oh man, PLEASE let it be the DC on MOTUC bodies idea. I doubt it, but I would love that line so much. Knowing the way that Mattel communicates, I wouldn't be surprised if Mattel was referring to a specific Filmation MOTUC subscription. I don't know what Mattel's deal is with Classic Media over the Filmation rights, but I imagine that Mattel will want to get the mileage out of it. Considering that MOTUC is Mattycollector's bread and butter, this seems like a logical choice. Minimasters isn't a bad guess, and it really is the only way to sell those figures (which I like, but I can't say if I'd buy them or not until I see prices-they're a novelty item to me). My second guess would be a Movie Masters/ Batman subscription. I could see that being a pretty successful line with lots of potential. 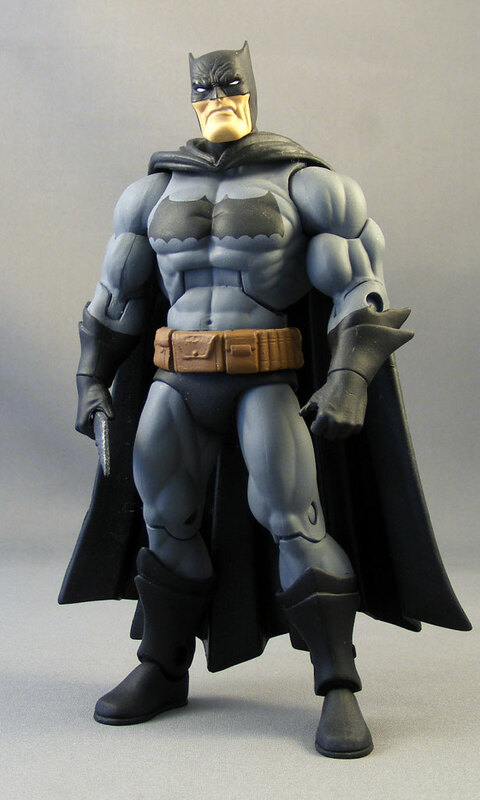 Batman seems to always do well, Batman villians and members of the Batfamily always do very well, and at any point Mattel could insert these figures into a retail line. Batman is definitely an evergreen property. I can't envision BTTF having any more success than Ghostbusters, which barely survived for one year as a sub. It isn't that "toyetic" of a property, and I can only imagine the problem of releasing a 6 inch line without a 6 inch hoverboard (Mattel would say they have to keep it exclusive for reservers). I'm be VERY interested in a DC Movie Masters series that included characters from the 1960's Batman TV series, the Burton Batman films, the classic Superman films and the Wonder Woman TV series. I would also hand over large amounts of money to Mattel for a DC/MOTUC combo series. A MOTUC scale/proportioned Batman and Superman would be fantastic. And just imagine a MOTUC scale/proportioned Wonder Woman. Finally, I would have a Wonder Woman figure that is suitably "large" without being overly masculine. I’m guessing a wwe sub. They seem to be doing well with the online exclusives and the announced segment they will have with them on tv makes me think it’s going to be like a commercial for the new sub. They've shot down the idea of a Legends sub. Those figures are tanking big time online. So much that they've removed Liz from online sales and will now ship her to stores. Ugh. Though I suppose a regular WWE current line isn't out of the question, I think it's unlikely. What, I don't get credit for suggesting the Mini Masters to you? Yeah she's the most popular figure for the online Legends, so supposedly because of "fan demand" they added her to the Flashbacks. I don't know what series she'll come with. I assume it's so they can shortpack her. I mean, the Flashbacks and Divas alone are already nearly impossible to find and now you're talking about one that's both? She went from being easy to get, to probably impossible. It's Mattel. They hate you, lol. Man, this pains me greatly. If it were a Movie Masters subscription with 66 Batman characters, 1989 Batman characters, Donner Superman characters and whatnot, this would be my first Matty subscription for sure. I'd take them all. Knowing Mattel, the movie masters line would focus disproportionately on Clooney Batman.